Happy New Year! 2016 was not really an ideal year for us, as we had to patiently wait through things which cannot be rushed. But hey, the long wait has paid off, as they are about to come to fruition! Oh, good idea on giving the choice between the new and original designs. While the CG work seemed pretty good, I found myself preferring the old sprites. And honestly, while this last year has been a bit sucky for Sierra Ops, look on the brighter side: it will still be releasing earlier than the My Little Dictator it's because you've had other attractive projects, and when something doesn't work getting away of it for a bit to get some perspective always helps. I like that you have both options available - it worked well in Black Closet, I felt. I've become really attached to the first versions, so even though the new sprites match the CGs, it would feel a little odd for me. Also, since they're already done, it wouldn't really cost too much in the way of programming the option in, to the best of my knowledge. I really preferred the original ones compared to the new ones, they just look better imo. Having an option to choose between them is real nice. Wish the CGs also have this option though. 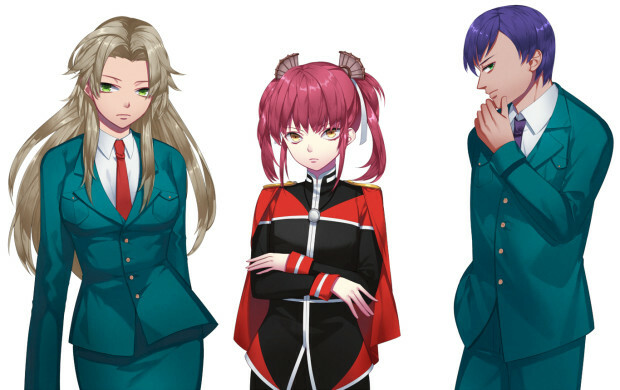 Whole reason for the change was because the original artist wasn't able to do the CGs for some reason, so they brought on a new one and redid the sprites at the same time to match. I believe that's what happened, anyway - Hel can confirm or correct. I'm really attached to my avatar in the original art style myself. 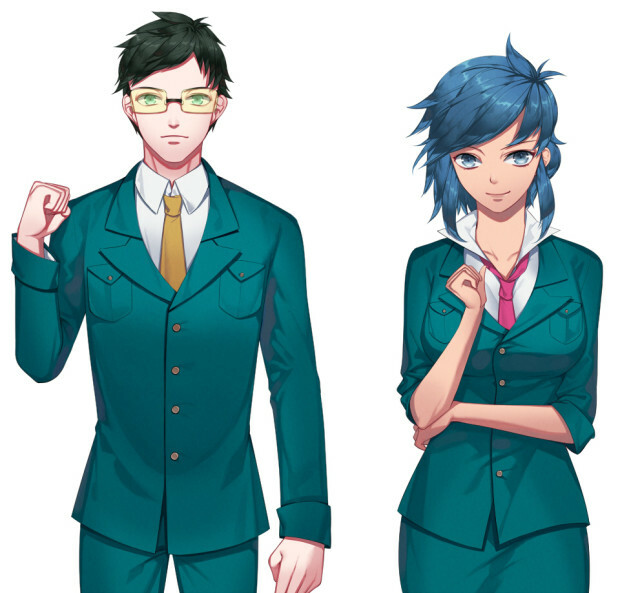 However, the CGs are really good from what I've seen, so I'm thankful for the options. Sometimes things don't go your way, unfortunately. 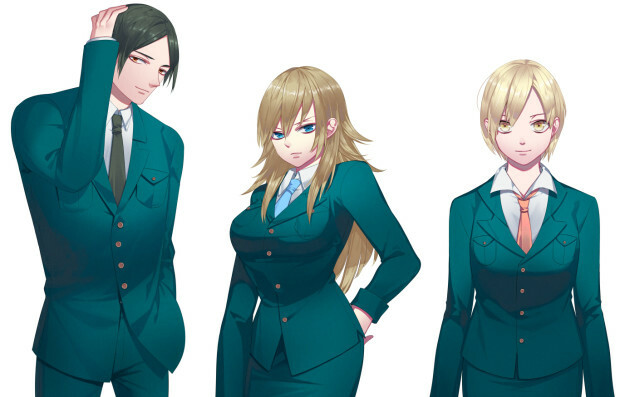 Well, the CGs are good, but the sprites just seem off to me... So yeah, i'm grateful for the options to switch sprites as well. Though... I wonder why they decide to change the age of the characters. They're already all over 20 before except for maybe 1 or 2. I requested because it didn't really fit with the setting to have people under 20 serving or holding positions that high, so this is how things turned out. Oh, good to see we still have Youko with us. Given the messy state Sierra has been for a while I feared you had left quietly. Naaaaah. I just have a bad habit of falling into completely silence, especially with things like forums since they tire me out and slowly start to consume my life. On that note, Sierra's scale has massively inflated (mostly my fault), but the end result should end up being like a 300k word epic, with most of that content locked behind decisions and replaying. I'd suggest looking at my twitter like Arraxis does if you want to see me freaking out over writing or random thoughts I have about the script. Wow, cool. And I get it: the first year this forum completely consumed my life. I'll check twitter; I actually did it periodically some time ago, but somehow started slipping my mind. That class is the absolute basics for FILM, and short film at that. I either already knew what she was talking about, or it was something that only applies to short films. It's kind of a frustrating class to be in.